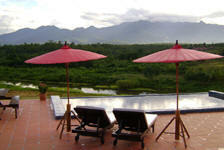 It's a breeze of fresh air to find a place like the delightfully homey "Bulun Buri Resort Pai". 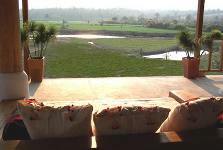 Working off of it's natural surroundings, the hotel accentuates the serenity of Pai, a burgeoning traveler's spot in the northern province of Mae Hong Son. Laying upon an idyllic, quiet stretch along the Pai River and gazing out upon a range of hills, Bulun Buri Resort strikes that rare balance between modern creature comforts and rustic charm. With such an agenda of relaxation and enjoyment of nature mapped out for you, there's not much need for further amenities. 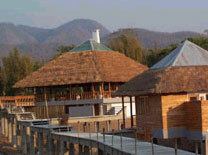 Here, bulun Buri Resort keeps it simple and focused on the natural. One of the more promising and delightful small hotels in Thailand, and a hint of greater things to come in this cozy corner of the north.